We all know that summer = frizz and static, and that is never a good look for anyone. It’s always been the belief that it’s easier to go to a salon because nobody can get your hair as good as your hairstylist can – but that was before Click n Curl came around to empower women with the ability to create that coveted salon look by themselves. 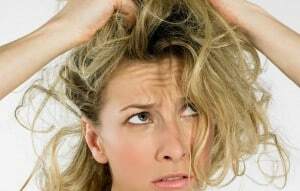 Here are some tips and tricks to prevent static and frizz. make sure you are getting the best salon quality blow dry with your Click n Curl at home. First, let’s talk about where you are blow drying your hair. Do you get out of the shower and blow dry your hair in the steamy bathroom? Not a good idea. Even though your hair may look completely dry, the moisture in the steamy bathroom air will absorb back into your hair. This may create frizz. Instead, move this step into your bedroom! Remove some of the moisture from your hair, even before you start blow drying. Blow drying dripping-wet hair takes a lot longer and your arms get tired. Instead, use your towel to gently pat out as much water as you can. TIP: DO NOT RUB YOUR HAIR with your towel. This will create more static. Did you know that your hair is made up of cuticles (similar to scales on a fish)? Rubbing your hair with the towel is allowing those cuticles to lay in all different directions, which creates a great base for frizz! Products like an oil or serum are a great way to prepare your hair for your frizz-free blow dry. Apply these products to the middle and ends of your hair. A dime-sized amount is all you need. Using a wide toothed comb, start at the ends and working your way up to the base. For really fine hair: also use a golf ball size of volumizing moose towards the roots of your hair. 4) Tools are important, too. Using a diffusing nozzle on your blow dryer is crucial. The nozzle allows you to have more control over the direction the air blows down the hair shaft. Be sure to blow down the hair and not into it. Remember the cuticles that your hair is made up of? You want them to all overlap each other to lie smoothly. Blowing into the hair allows cuticles to stand up and lay in the wrong direction, which means frizzy locks! Now that your hair is prepared and your tools are ready, it’s time to get started. Blow drying your hair in sections is going to help ensure that all of your hair is 100% dry, and make it easier for you to lock in your Click n Curl. Use the size of your brush as a guide. Look at the width of the brush head. This is the size of the section you want to take. If you like, you can clip the rest of your hair away. This is going to allow you to concentrate on that section without having the rest of your hair getting mixed in. Root: When you start blow drying, focus on the root of your hair; this is where you want the volume. You want to be pulling the hair up and out, away from your scalp, placing the brush under the hair. The rest: Once you are confident that the root is 100% dry, move onto the middle of the hair shaft. When doing this you want to make sure that you are creating lots of tension in the hair. You can do this by wrapping the ends of your hair around the brush and focusing on the mid-shaft of the hair. Once you are happy with the smoothness and are confident that the mid-shaft is dry you can move onto the ends. Roll your Click n Curl. Once your hair is completely dry, wrap the ends around the Click n Curl barrel and roll down to the root. Your hair should wrap around the brush at least 1.5 times. Rest the brush bristles against your scalp and give it a little shake side to side before releasing the handle. This will lock the barrel in place so it doesn’t fall out before you’re finished. Repeat these steps until your full head is dry. To get the full result of Click n Curl, and to prevent static and frizz once you remove the rollers, it is important to ensure that you hair is 100% cool before removing. Voila! Now you’re fabulous and frizz-free.